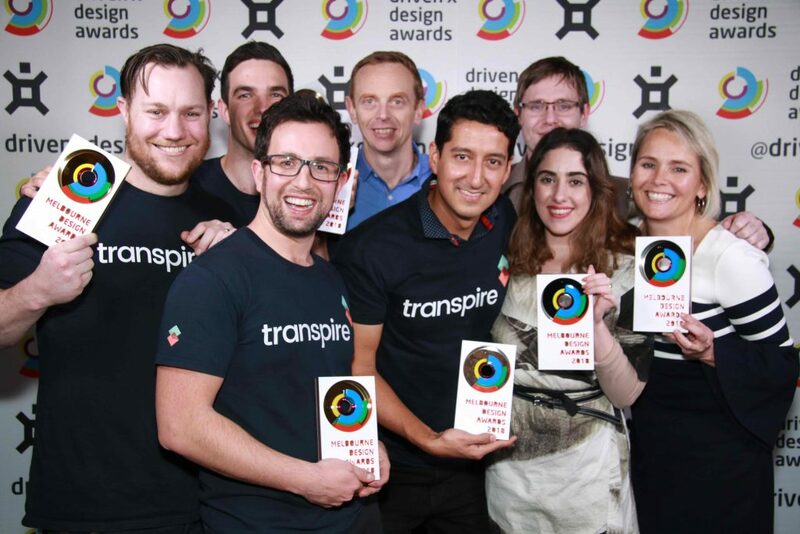 Earlier this week at a presentation in Melbourne, Transpire was incredibly proud to pick up a total of seven DRIVENxDESIGN Awards. Transpire’s work designing and developing Vodafone’s DreamLab app, which aims to accelerate the pace of cancer research, was recognised with one Gold and one Silver Award. But the big winner of the night was the Sir John Monash Centre. Set on the grounds of the Villers-Bretonneux Military Cemetery in northern France, the centre tells Australia’s Western Front experience through a series of interactive installations and exhibits. Alongside two Gold and two Silver Awards, the unique multimedia solution developed by Transpire for the Department of Veterans’ Affairs picked up the Design Champion Award – the most prestigious of the night, with previous winners including Tesla, Vodafone, and NAB. “These industry recognitions are testament to the vision, innovation, creativity, and hard work of the Transpire team,” Transpire CEO Luke Smorgan said. “On each project, they aim to become part of the customer’s world for a more informed perspective, and make bold yet intelligent decisions to improve the end user’s experience”. Transpire CTO Josh Guest and several members of the Transpire team attended the DRIVENxDESIGN presentation to enjoy the win and rub shoulders with their design contemporaries. Digital – New Service or Application | Sir John Monash Centre, Department of Veterans’ Affairs. Digital – IoT | Sir John Monash Centre, Department of Veterans’ Affairs. Digital – Expanded Service or Application | DreamLab 2.0, Vodafone Foundation. Digital – Expanded Service or Application | Sir John Monash Centre, Department of Veterans’ Affairs. Digital – Government Services | Sir John Monash Centre, Department of Veterans’ Affairs. Digital – Health | DreamLab 2.0 Vodafone Foundation. Sir John Monash Centre, Department of Veterans’ Affairs. 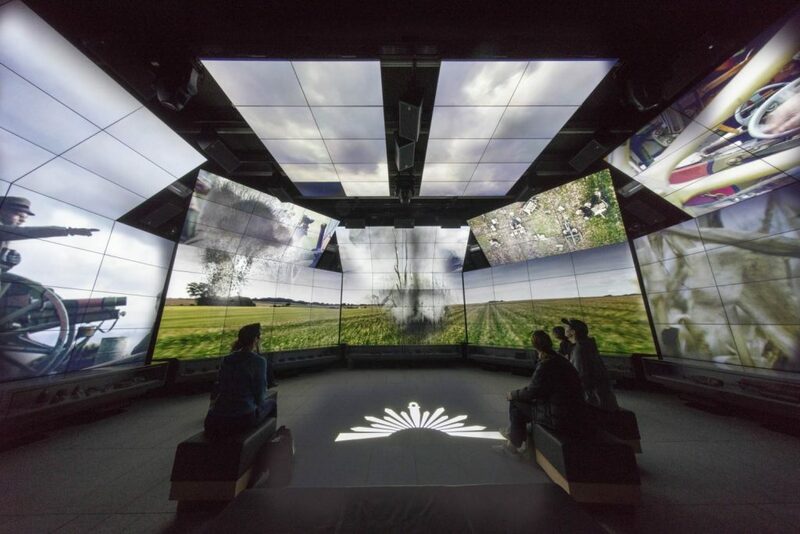 Sir John Monash Centre aims to tell Australia’s story of the Western Front in the words of those who served through immersive and interactive multimedia installations. Transpire created an integrated multimedia solution to coordinate and communicate with every piece of technology in the centre, from the show controller to the building management system. It also developed both iOS and Android apps to provide a link between the visitor’s smartphone and the centre’s screens, with Bluetooth beacons used to determine location. Discover more about Sir John Monash Centre. DreamLab 2.0 aims to increase the pace of cancer research by harnessing the power of mobile technology to create Australia’s first ‘smartphone supercomputer’. Transpire developed the DreamLab app and back-end solution thanks to its high-level technical capabilities and human-centred design approach. A team of approximately twenty people from Transpire worked on the project for two years in close collaboration with the Vodafone Foundation and AWS Australia. The Melbourne DRIVENxDESIGN Awards program provides recognition across a range of tech and innovation categories, celebrating the creativity and courage of industry-leading individuals and enterprises. It is primarily concerned with design as a market-based means of problem solving that prioritises user experience, recognising the design strategy and human outcomes as much as the form and finish. Each DRIVENxDESIGN awards program collects ratings from an independent judging panel, industry experts, as well as the marketplace who commissions and consumes the finished product.